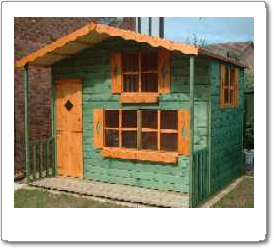 The Leading Supplier of Timber Sheds, Workshops, Wendy & Play Houses, Wooden Fencing & Timber Decking in Wales - Davies Timber (Wales) Ltd.
A range of fencing and gates pressure treated and manufactured to the highest standards. Simple to erect along with our comprehensive range of excellent trellis panels. "Very pleased with our new home office, thank you"
"With so many options it was looking like a bit of a minefield but you couldn't of made it easier for us...very very pleased!"